Overnight 'Beneath The Sea' has announced their class of 2016. This year the annual New Jersey scuba diving show celebrates a major milestone. It was founded in 1976, making this the 40th year BTS has recognised divers in the fields of the arts, education, environment, service and science. In 1974 a book was published that would forever change the way that the general public would view sharks. 'Jaws' by Peter Benchley sold at least 20 million copies worldwide. The book and subsequent 1975 film - directed by Steven Spielberg - was to have a profound and lasting global impact. However Peter Benchley became perturbed that his most famous novel had encouraged the worldwide practice of baiting sharks. During the latter stages of his life he advocated for shark conservation, trying to show the world that human life is dependent upon the oceans and all they contain. In 2004 Benchley's wife - Wendy - and David Helvarg founded the 'Peter Benchley Ocean Awards' to recognise the exceptional conservation work being done by marine scientists, researchers, explorers, and policy makers worldwide. As a scuba diver for more than forty years, Wendy Benchley has witnessed dramatic changes to our ocean’s wildlife and its habitats. Her primary passion therefore resides in ocean and shark conservation and this has motivated her vigorous efforts to help shape smarter, stronger environmental and marine policies with government officials, NGOs and other civic leaders. Wayne Hasson began his love affair with diving when he served in the US Marine Corps in the early 1970s. He discovered the underwater world whilst off-duty, diving the waters of Vietnam and Japan. In 1984 Wayne was a Divemaster and Anne Davis was a photographer. They became life and business partners, co-founding and running the Aggressor Fleet. The mid 1980s was an evolutionary time for liveaboards. Peter Hughes launched 'Sea Dancer' whilst the Hasson's built the first 'Aggressor'. These boats would usher in a new style of luxury liveaboard experience and change the way we explore the world. Ironically in March 2008 Wayne Hasson would purchase his largest competitor, the Dancer Fleet (previously known as Peter Hughes Diving) and become President of both the Aggressor Fleet and the Dancer Fleet. Wayne Hasson helped to design, build and captain the first Aggressor; Cayman Aggressor. The Aggressor diving franchise has been very successful. Today there are 12 Aggressor-franchised liveaboards with the latest ship to join the fleet - Sri Lanka Aggressor - due to be launched on 3rd September 2016. Wayne Hasson has serviced on the DEMA Board of Directors. Today he is a Sea of Change Foundation Director and a SSI Platinum 5000 Diver. Dr Richard Lutz is an American marine biologist and deep-sea oceanographer known for his deep-sea research using the Alvin submersible. He is considered one of the world’s foremost authorities on the ecology of deep-sea hydrothermal vents. In 1979 he participated in one of the first biological expeditions to study the ecology of deep-sea hydrothermal vents. Since 1979 he has continuously spent time in various deep-diving submersibles studying thermal vents throughout the world’s oceans. His research has been published in National Geographic Magazine, Science, Nature, and American Scientist. It was natural therefore that in 2003 he was asked to star alongside Ed Harris in the IMAX film 'Volcanoes of the Deep Sea'. Lutz's role on this production was as Principal Investigator and Science Director. This documentary included footage and research from his numerous expeditions studying an active deep-sea caldera on the East Pacific Rise, at depths of 2,500 metres / 8,202 feet. However when the film was released some southern USA theatres refused to show this documentary, because it was felt that references to evolutionary theory were blasphemous. Dr Drew Richardson - President and Chief Executive Officer for PADI (Professional Association of Diving Instructors) - has been involved in water safety and diving education for 40 years. He joined PADI in 1985 after holding the position of Assistant Professor of Underwater Technology at the Florida Institute of Technology where he trained commercial divers. During his tenure at FIT Drew Richardson established the first Associate of Science program in Sport Diving Operations. Drew Richardson has applied his Ph.D. in education and degrees in oceanographic technology and environmental science to guide the evolution of PADI’s instructional system. It would probably be fair to say that he has directly or indirectly shaped and broadened access to diver education for more than 10 million divers around the world. 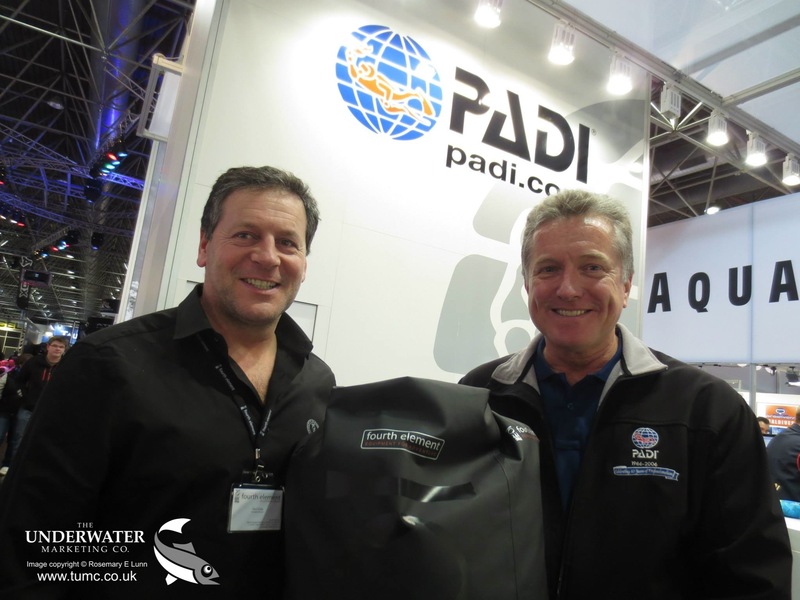 Projects have included the introduction of the Recreational Dive Planner in 1988, the convening of Rebreather Forum 3 in 2012, and helping to establish the PADI brand across 175 countries. Today in his role as President of Current Publishing, he is participating in the development of a marine sciences curriculum for national use in high schools. Drew Richardson has also worked as an instructor, teaching entry level scuba students through to instructor trainers. He has personally trained and certified more than 3,000 divers. Drew Richardson is an active member of the Undersea and Hyperbaric Medical Society (UHMS), the South Pacific Underwater Medicine Society (SPUMS) and chairs the RSTC (Recreational Scuba Training Council) Standards Committee. He is a respected and popular speaker, and author. Bill Ziefle is President and CEO of DAN (Divers Alert Network). He graduated from the Louisiana State University, Paul M. Hebert Law Center in 1980, gaining his license to practice in Energy, Business Law and Corporate Law in 1984. His interest in diving began in 1975 when he passed his PADI Basic Scuba Diver course. A decade later, in 1985, he was a PADI Rescue Diver before completing his NAUI Underwater Photography qualification in 1988. In 1989 Bill Ziefle became an advocate of DAN, receiving the 'Outstanding volunteer Award' for 10 years of service to DAN in 1999. In the same year (1999) he was asked to join the Board of Directors and subsequently served a term of ten years on the DAN Board, until 2009. He was appointed DAN’s general counsel in 2005. Bill Ziefle is a recreational diver and a SSI Platinum 5000 Diver. DAN was founded in 1980. It's original name was NDAN - National Diving Accident Network - and the idea was to establish a 24-hour emergency hotline with access to physicians who were trained and experienced in the recognition, care, transportation and recompression therapy of diving injuries. It proved to be so popular that a second, non-emergency line was created to handle the demand for medical and dive safety information. In January 1991 DAN launched the first Oxygen First Aid training course after its research had highlighted that only one-third of injured divers received 100% oxygen as a first aid measure. Today DAN's mission is to help divers in need of medical emergency assistance whilst promoting dive safety through underwater dive research, education, products and services. It also provides accurate, up-to-date and unbiased information on issues of common concern to the diving public and assistance for underwater diving injuries.